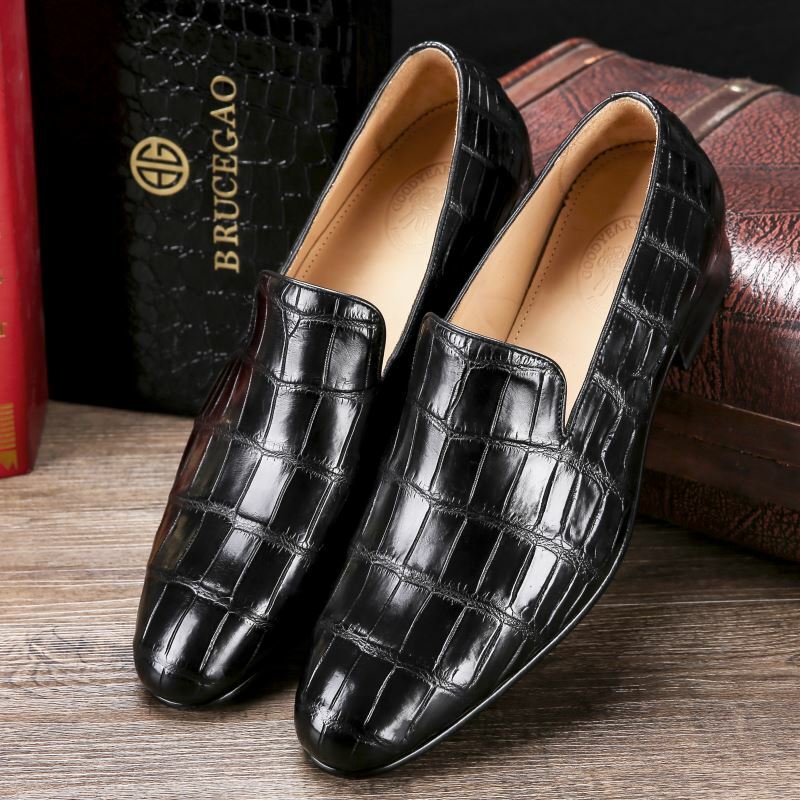 Get your hands on this pair of loafers from BRUCEGAO and hit the road in style. 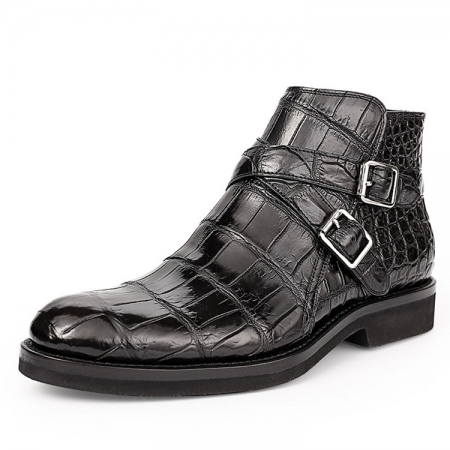 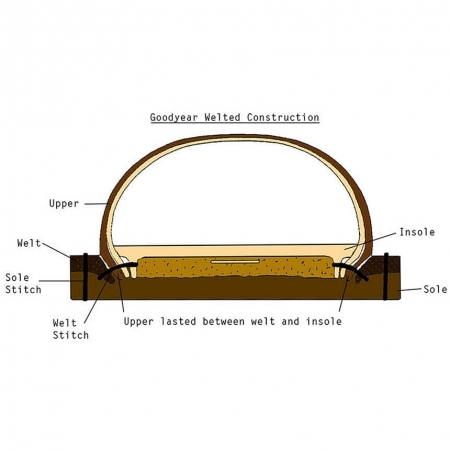 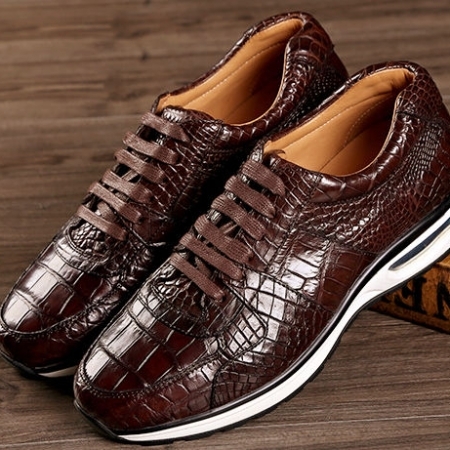 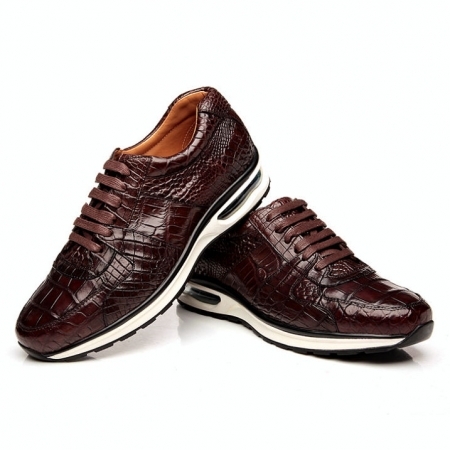 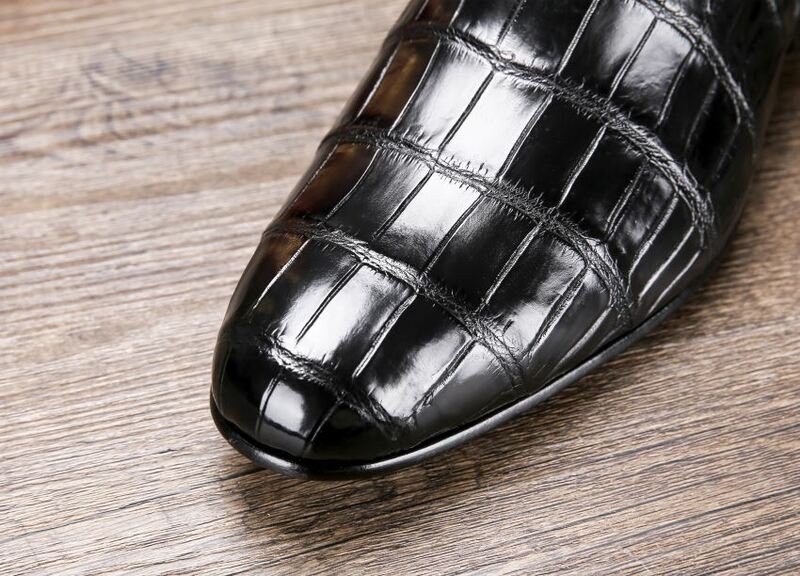 It has been made of alligator leather that lends it a classy finish with a natural sheen. 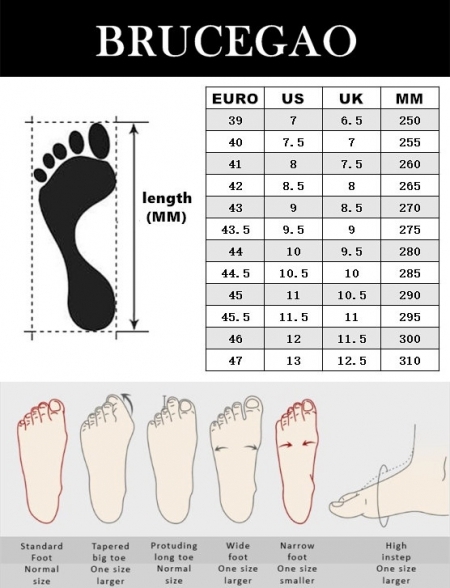 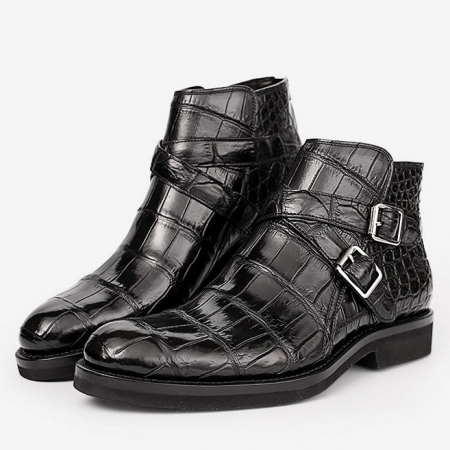 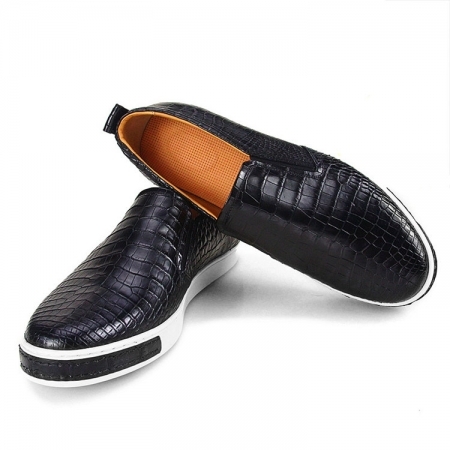 Besides, it comes with a round toe that renders it smart while the slip-on style further makes it convenient to wear. 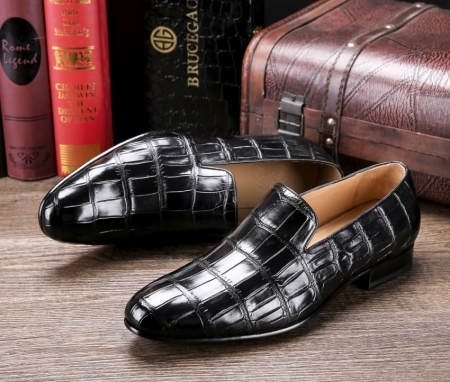 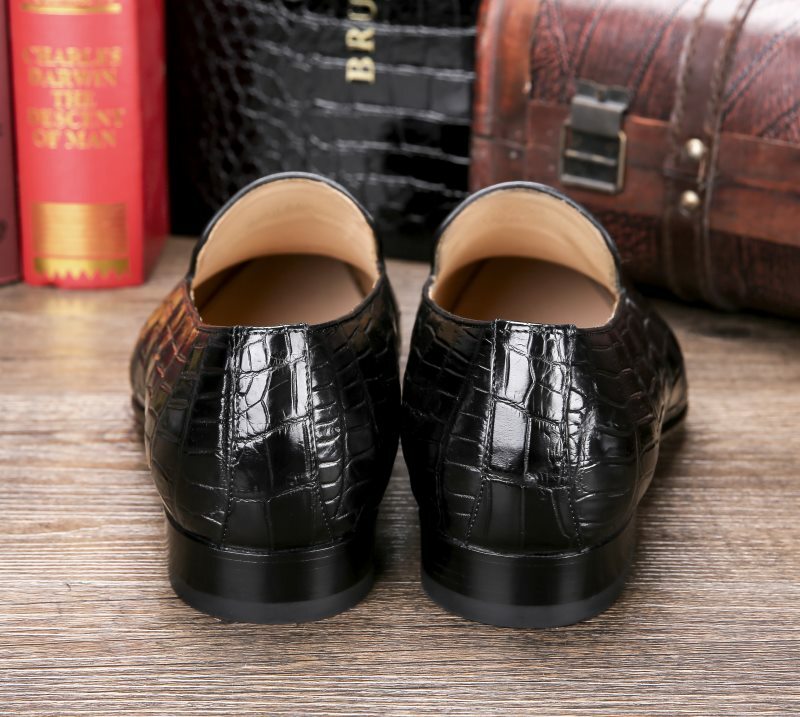 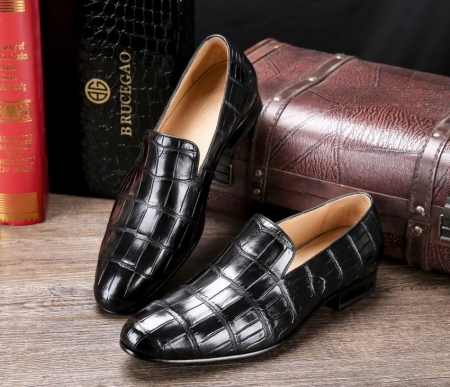 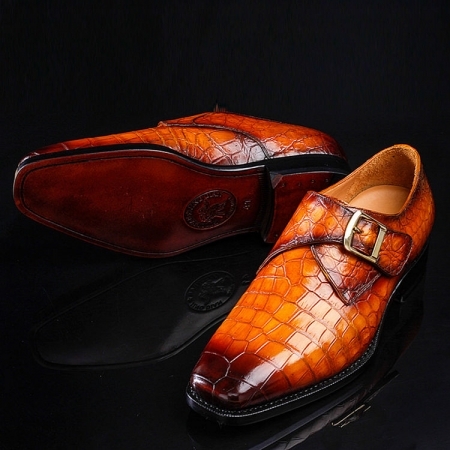 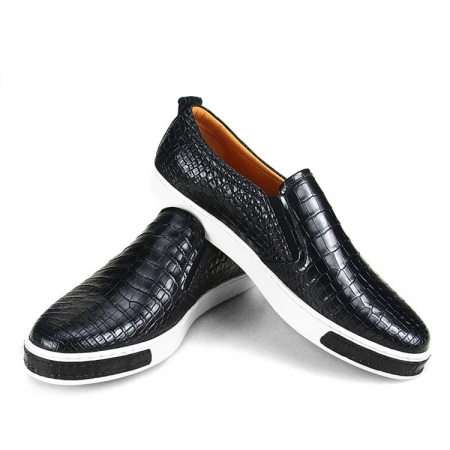 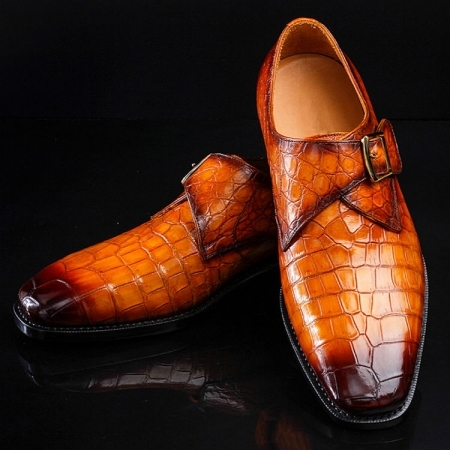 This pair of alligator slip-on loafers will be an excellent pick for you to flaunt your fine taste in fashion with a great verve. 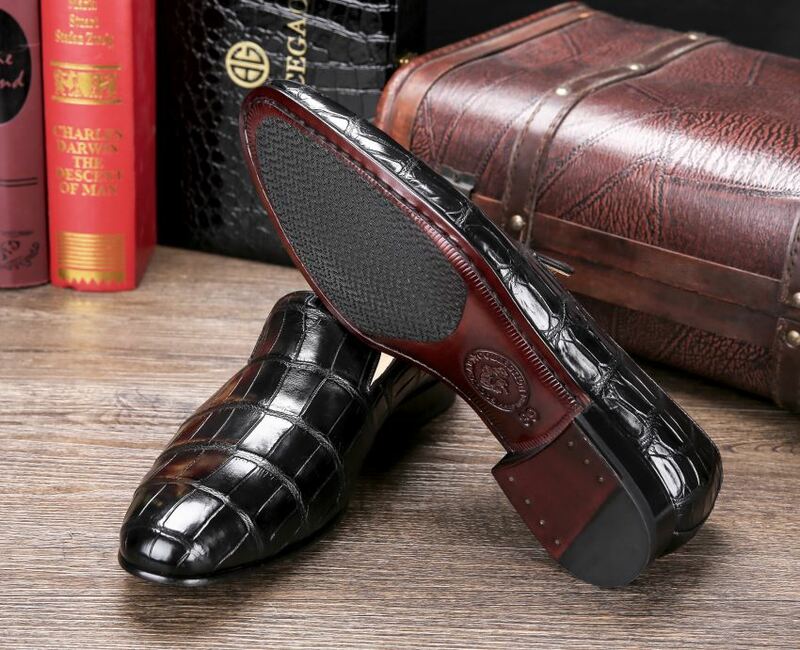 A pair of formal trousers and a contrasting shirt will be its perfect complement.